Polyester film with conductive coating on the front side. Both sides with ink receptive coating. Material is available with a thickness of 0.13 mm and 0.18 mm. Available in sheets and rolls. Sheets available in standard packing unit or on demand. 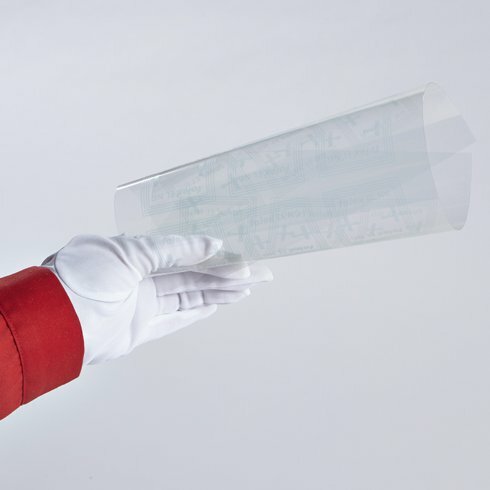 All sheets and rolls are equipped with self-adhesive protective film on the conductive side as standard. Surface resistivity ASTM D257-83 110 Ohm/sq.